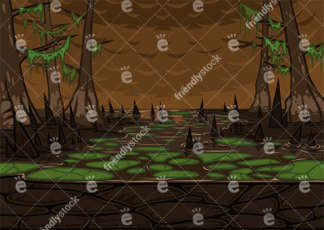 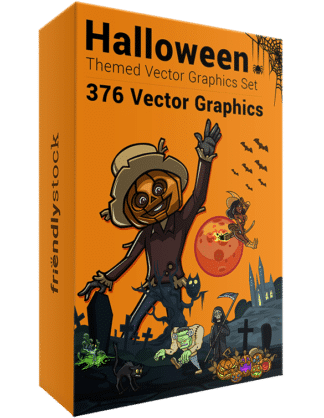 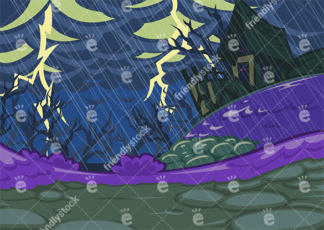 Royalty-free vector illustration of a spooky haunted house exterior with Halloween decorations. 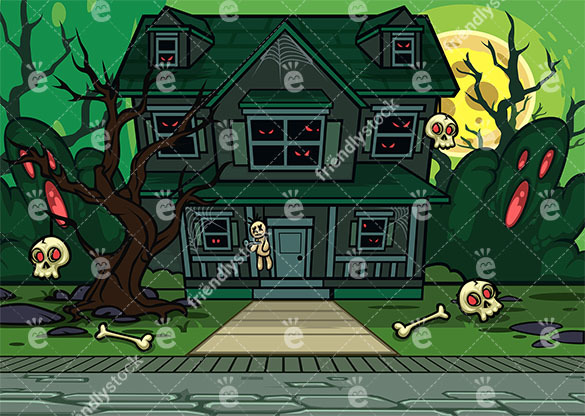 A few skulls and bones laying around as well as a voodoo doll. 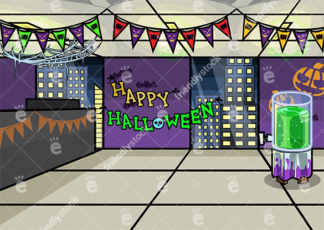 Creepy red eyes seen through the windows.